On this page you can download all available materials for your medium. 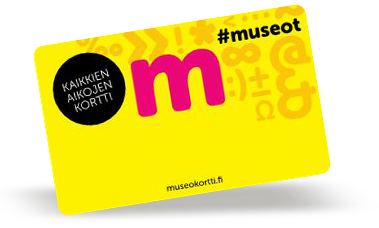 For more information: glass.museum@riihimaki.fi, tel +358 (0)19 758 4108 or site´s contact form. Material is for press and PR-purposes only. The most important phase of Venetian glassmaking began in the early 20th century. The glass workshops on the island of Murano moved on from their traditional models of the late 19th century to develop a language of form that was highly modern for the period. Rich and detailed decoration was replaced by a more minimalist idiom and objects of monochrome glass. The exhibition features unique objects representing the language of form and motifs typical of this period. Venetian glass of the early 20th century displays clear connections with new types of artefacts that were created around this time in both Austria and Germany, anticipating Art Déco which emerged 10 years later in France. In light of this, the idea for the exhibition "MADE IN DENMARK" was created. It shows a multi-faceted image of the development of Danish design since about 1900. The general streams in Danish applied art do not radically differ from those elsewhere in Europe and the world. The exhibition is made in cooperation with Grassi Museum of applied arts, Leipzig, Germany. Finnish-French Nathalie Lautenbacher (former Lahdenmäki, born 1974) graduated in 1999 from the Department of Ceramic and Glass at the University of Art and Design Helsinki. After graduating, she went on to establish a ceramics studio and in her work she has particularly focused on ceramics as a material: small editions of tableware and unique one-off pieces. The present exhibition displays her work in glass from over the years. The first vases of Lautenbacher’s Natal series were taken into production by Iittala in 1997, while she was still a student. Lautenbacher continued her work in glass design at the workshop of glassblower Jaakko Liikanen of Riihimäki. Made of heat-resistant coloured glass, the PUPULU tea service was collaboration with the Kolme-Design company, while the series Harkko (Lingot) and Padat (Pots) were created at the Nuutajärvi glassworks in 2013 in the summer before the glassworks was closed. This exhibition features 110 wine glasses and goblets from a period of four centuries, the jewels of the collection of Christian Jentsch of Lübeck. The evolution of wine glasses is presented from simple forest glass goblets to creations of Venetian glass and mass-produced wine glasses by renowned designers. Glasses for beverages were still costly luxury items in the 19th century. They were mostly made as ordered one-off pieces or in small editions. Their use spread along with technological progress, permitting the manufacturing of simpler glassware to a larger scale. The distribution channels of glassworks also developed at this time. Professor Oiva Toikka (born 1931) is one of the leading names in Finnish glass design whose imaginative, rich and bold glass art stands out from the mainstream of Nordic design. Toikka combines inexhaustible imagination with his thorough knowledge of the properties of his material. This exhibition at the Finnish Glass Museum leads viewers to Oiva Toikka’s surprising and colourful world of fantasy. The exhibits include unique art objects, many of them from private collections and on display to the public for the first time. Having originally graduated in 1956 as a ceramicist from the Institute of Industrial Arts in Helsinki, Toikka worked as a designer for the Arabia factory until 1959. He began his work as a permanently employed designer at the Nuutajärvi glassworks in 1963. Since then, he has worked in glass, designing popular collections of glass products and unique, one-off works. His wide-ranging artistic activities include set and costume design and spatial works of various kinds. Oiva Toikka is known for the Birds series, which he has designed for the Iittala glassworks. The handcrafted and unique glass birds are sought-after collectibles around the world. Toikka’s Annual Cubes are also desired by collectors. They are a perfect example of expertise in colour at the Nuutajärvi and Iittala glassworks and the skills of their glassblowers.